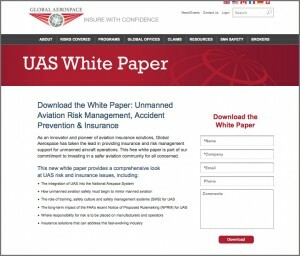 It’s been exciting to see the success of the content marketing and PR efforts for our client, Global Aerospace, an international aviation insurance provider. 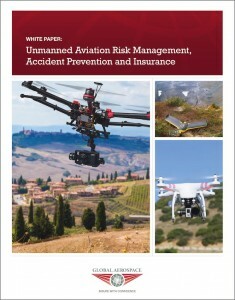 Their leadership in risk management and insurance solutions for unmanned aerial systems, or drones, has positioned them once again as leaders in their industry. With the tremendous intellectual capital they possessed on the topic, we were able to assist them with producing a white paper, developing a landing page for downloading it, and then promoting to an extensive media list. The result was a 250% increase in website traffic, hundreds of downloads and pervasive coverage not just in the aviation trade media, but the general news media as well. This was a great example of how content marketing and PR can work together to create a flywheel effect of search engine and media visibility. Of course it requires true insight and expertise on the part of the client, but we’re fortunate here at TCA to have a number of such industry leaders as our valued partners.